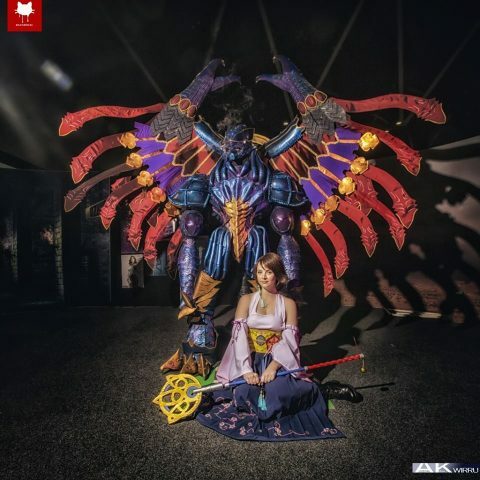 This Final Fantasy X Cosplay Shows Off Exquisite Craftsmanship « Adafruit Industries – Makers, hackers, artists, designers and engineers! Cosplayer Ameno Kitarou, a.k.a. A.K. Wirru, challenged himself on the cosplay front in 2017 by making a Final Fantasy X costume. He brought the dragon Bahamut to life. Kitarou didn’t cut any corners and went through each part of the design with exacting precision. Case in point, each piece of the armor was first patterned in paper. 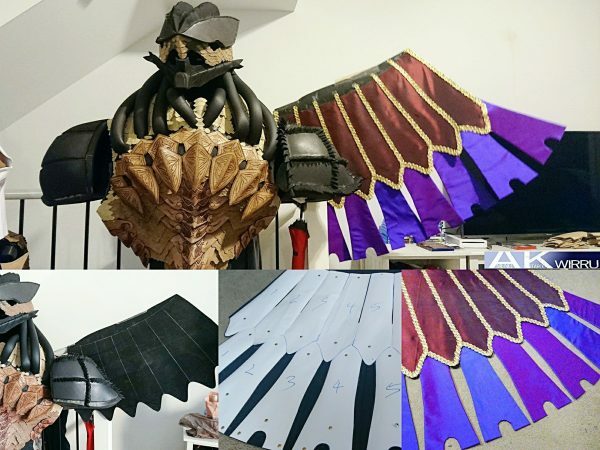 Bahamut has a large quantity of scales, so designing each portion of the armor took time. After Kitarou determined the sizing, he transferred the patterns to leather. Here’s the insanely dedicated part: he hand embossed every single piece of leather with stamps and tools. 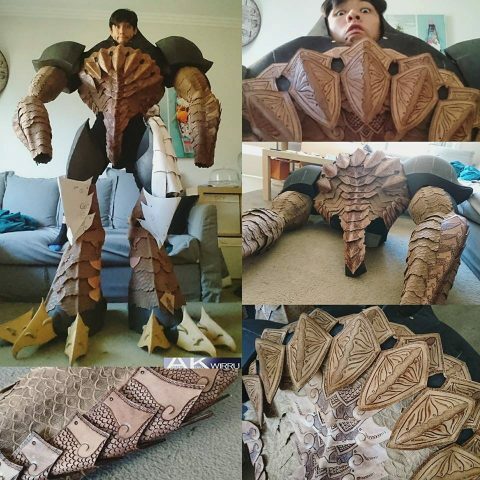 The below photo shows off the cosplay in progress, and it gives you an idea about the leatherwork and how much Kitarou did. Keep in mind this is only part of the costume. I highly recommend taking the time to view the build photos in this album. Ameno Kitarou also shares tutorials and more info on Patreon.